At Ivory Dental in West Lethbridge, we offer BOTOX COSMETIC® or BOTOX® Therapeutic™ services to minimize the appearance of fine lines, or treat pain associated with TMJ. A solution to unwanted ridges or creases in the skin called wrinkles. Wrinkles appear as people age although younger people may also notice them in their skin. These creases are most visible in the face, neck, top of forearms, and back of hands. Used to treat the symptoms of Temporomandibular Joint Syndrome (TMJ). BOTOX COSMETIC treatment (onabotulinumtoxinA) is an injectable way to temporarily treat facial wrinkles. It works by stopping the facial muscles from contracting. BOTOX Therapeutic treatments can also be used to relieve the pain and treat the symptoms of Temporomandibular Joint Syndrome (TMJ). BOTOX Therapeutic treatments can be injected directly into the chewing (masseter and temporalis) muscles. It relaxes muscles and reduces tension and pain in the jaw area. For your first visit, list down a set of questions to ask your Lethbridge dentist. This way, you won’t forget anything. Inquire about the cost of the treatment and if it can be covered by your medical insurance. You can as well discuss with your dentist the pros and cons of getting the treatment. 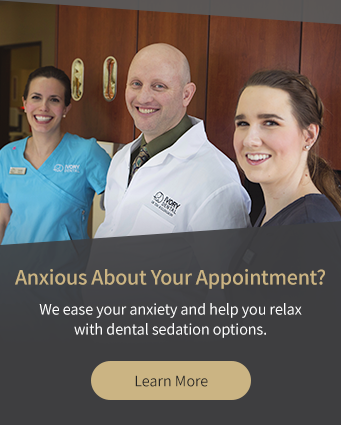 Contact us to book a consultation with one of our dentists.